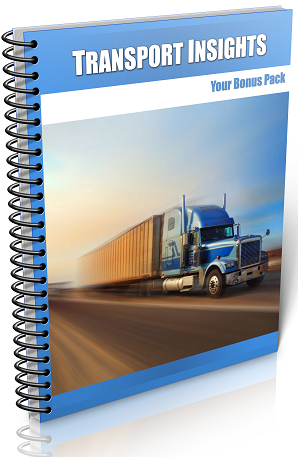 If you are relatively new to Supply Chain and Logistics, this is the book for you. 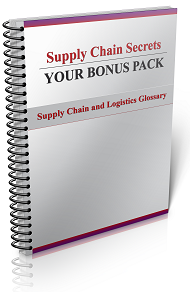 It will help you grasp some of the key Supply Chain Management concepts and terminology that might be strange to you at the moment. Indeed I have found experienced professionals still get a lot of value from this book! 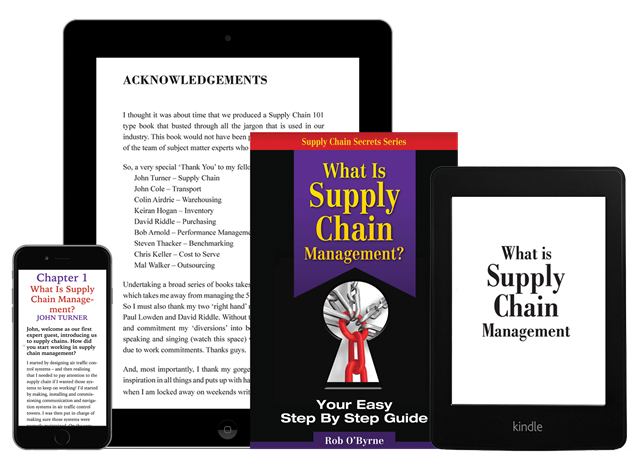 Chapter 1 – What Is Supply Chain Management? Chapter 2 – What Is Transportation? Chapter 3 – What Is Warehousing? Chapter 4 – What Is Inventory Management? Chapter 5 – What Is Purchasing & Procurement? Chapter 6 – What Is Performance Management? Chapter 7 – What Is Benchmarking? Chapter 8 – What Is Cost to Serve And How Do I Reduce It? This is not an academic Supply Chain Book. It’s a very easy read and covers the essentials in a step by step easy to follow way. And to accelerate your learning of the topic, we include some great bonus downloads that other readers have found really useful. These, along with the book, can be downloaded at the time of purchase. A very useful A to Z of Supply Chain and Logistics terms and acronyms that will take away much of the mystery of the topic. This movie (mp4 file) is a presentation with commentary in which I guide you through the steps to develop a Supply Chain Strategy. I’ve used this process with dozens of organisations over the years. This will help you to really understand strategy. Discover the insights from transport expert John Cole who has over 30 years of experience consulting in transport. With this guide you get a ‘sneaky behind the scenes’ look at warehousing operations, what slotting and picking are all about and the huge impact it has on warehousing costs and performance. No longer will you be confused by warehousing operations!